With Luck Lost, Faith Will Be Found. The sign of Scorpio always speaks of something that needs to be faced and let go of, a painful appendix we can do without, and all those things we have thrown in the trash or considered too tough to handle. This is the field of our deepest fears and our deepest desires, pointing out the connection we all carry within between aggression and sexuality, loss and sadistic or masochistic tendencies, and all those things that attract us as if we were near our personal black hole. It is impossible to resist temptations brought into our world by the sign of Scorpio, for they are far beyond karma. They stand for inevitabilities that must be attended to in this lifetime, as certain as death itself. The reign of Jupiter in such a sign is somewhat confusing, for it speaks of angels looking over our shoulder, keeping us safe in times of war and danger, and all those visions we wish to bring to life. It will put our obstructive habits in focus, convictions that hold us back, and negative approaches to other people and life that won’t let us move. The role of Jupiter is as beneficent as it gets, but in Scorpio it shows its darker side from time to time, reminding us of expectations that weren’t realistic, religions or a deep sense of mission that needs to change, and betrayals that left us deeply wounded. The best way to understand Jupiter in Scorpio is through an image of a fallen angel with his wings folded in a cocoon, unable to let go, break through, and find a way to fly once again. All our earthly ties will be questioned and our main direction found in liberation of spirit, forgiveness and pathways our Souls can find to regenerate and evolve. Deep processes will lead to materialization only if we are willing to let go of patterns that make us stagnant. Many people will turn to psychology, dream analysis and regression therapy in an attempt to discover their deepest drives and their core of power. As each of us transforms, we will learn that our possibilities are much bigger than those we anticipated. Width of heart becomes something we fight for, passively shifting our perspective from the point of manipulation, anger, or even agony, to one of constructive movement and acceptance. Inevitability of life and circumstances in it drives our beliefs and makes us question our faith in God, the Universe, and the synchronicity that becomes more obvious every day. The angel in our heart will have a chance to embrace fears, negative emotions and anger, giving in to sadness to cry out, melt the walls that restrict movement, and spread wings that will take us where we wish to go. Ruling the sign of Sagittarius, Jupiter speaks of hope we all feel when faced with its preceding sign. The fact that these two connect will bring a beam of hope into the darkest points of our world and drown those unrealistic images in dark realities just as well. While we might understand just how lucky we are to be survivors in course of our own life, we will also have to face the spoiled, rotten pieces of our nature that don’t allow us to connect to others. 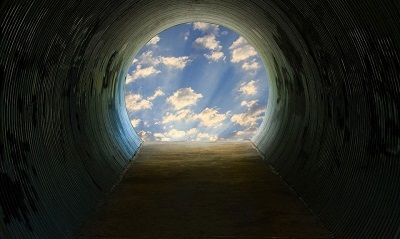 Inevitably, Jupiter in Scorpio is the light at the end of any tunnel, and it will pull us through dark processes only to make our heart bigger and our Soul brighter. All forces of Mother Nature are packed in the opposition of Taurus and Scorpio, usually manifested in their magnetic and magical glory of the center of the Earth - in the sign of Scorpio. When Jupiter brings its width and travels to this sign, it reminds us of the strength of common people. It teaches us we all have a power deep within our being to create anything and find everything in our life useful, however hurtful or wrong it may seem at first. The sense of purpose of change will exhilarate and reshape our entire existence in the following year, opening our hearts for the darkest of knowledge, for fears unveiled, as we discover that we are safe in all realms of our own heart. Even though we might be rushing and stumbling into danger, if we hold on to tenderness and love we might discover that the real power to influence any circumstance in this world lies within our own emotional world. As we cleanse and regenerate, we must recognize the magnitude of our pain and heal our wounds instead of running away from them. With a chance to grow and expand in the deepest realms of our hearts, we need to observe this time as an opportunity to bring all our desires to life if we are open enough to embrace all our shadows.